What does this character do for your story? I’m just about ready to start revising the excruciatingly rough draft of Pride’s Children: NETHERWORLD, and my last task is one I thought I wasn’t going to have to do much work on. Why? Because many of the characters in PURGATORY carry over to NETHERWORLD. And really, since I am writing a trilogy – split for the convenience of size, not because the stories are separate – you’d think I already had my characters well in hand, and that I would just give them a quick review, add a few, drop a few, and be able to move on. I’m dropping four characters, and picking up four characters. It doesn’t seem like much, does it? And they are minor characters; our main characters, Kary, Andrew, and Bianca will of course be there for the whole, but there are changes, and some of the characters (two of whom come back for Book 3) don’t belong in this volume. That’s typical, and not at all unusual. But my plotting software* gives roughly equal space to plot/theme – and characters. We don’t see the world abstractly. We don’t sit on the front porch and muse about honor. We compare friends, one of whom acts honorably and responsibly (most of the time), with the one who seems to have an excuse for anything that somehow puts the responsibility for her actions elsewhere. And from how it hits us, and from what the results of their behavior is, we come to form our own opinion of whether standing up is better than slithering out from under. We understand an abstract concept by its concrete representation in a form our brains are designed to respond to. There isn’t much point in wasting space in a story on two characters who are very similar in their outlooks on life, regardless of how common it is in real life to surround yourself with people you have a lot in common with. Stories are created from CONFLICT. DRAMA. TENSION. Stories have word limits. Yes, even long stories like Pride’s Children. If the writer spends too much time belaboring the obvious, the reader starts skipping. Elmore Leonard recommended leaving out the parts people skip. In Albert Zukerman’s useful book, Writing the Blockbuster Novel, he has an example which stuck with me: Ken Follett, in an early draft, had included two policemen in The Man From St. Petersburg. Zuckerman recommended combining them – and making the single remaining character a much more important personage – to kick up the potential for conflict. When every word matters, the pages turn more quickly, and the point the writer is trying to make sneaks into the reader’s mind more easily. In real life, there’d be a whole police precinct full of cops, most of them of similar personality type – those are the people who enjoy police work. But for a story, one is MORE than enough. Unless it’s a police procedural, and the point is to push the in-house conflicts of a group of officers, under pressure to solve a crime, fighting over the best methods. But in a story we have to be parsimonious in the extreme. And this means not adding a character to a story unless he or she is there for a multitude of purposes. So the interactions between the characters have to carry their weight. Ever notice how good dialogue skips all the small talk? In life we spend lots of time inquiring about family and friends, work and leisure activities, before we settle down to something as unpleasant as having a friend on the police force look up a license plate number for us because we have a sneaking suspicion a neighbor is responsible for the new dent in our car door. In a book, the reader would go mad with boredom! And to set these up, the writer should know why she picked these two particular characters, and what exactly the reader should take out of the exchange. 1 – For continuing characters interacting with continuing characters, the story must change. We already heard what they had to say in Book 1. 2 – For new characters interacting with new characters, the story must explain why these new characters at all, and what has changed/what has remained the same in the story that the new characters reveal. 3 – For interactions between old and new characters, what is new to the story. I found myself extremely reluctant to go into the relationships when I realize how many of them there were. Then I had the above talk with myself. So the past two weeks I’ve been thinking about characters, what gets space in the story and why, and what can be left out – because somebody has to do it. I’m almost to the end of it, and it’s been fascinating. And since I’ve been having the best time planning to use all this. I almost missed it due to that reluctance (missed doing it as a unit, because I would have certainly had to do it in every scene) to dig into what seemed finished. It wasn’t. I hope readers like the results. **Dramatica – which allows me to look at a tiny piece of the puzzle at a time (drat that brain fog) and have some hope that the whole will make sense when I’m done. *** The only rule that matters, so far as I’m concerned. This entry was posted in Epublishing, Writing - how to and tagged blog construction, brain fog, characters, contract with reader, dialogue, editing, Hard choices, the creative process on February 22, 2016 by Alicia Butcher Ehrhardt. I have been MIA for a number of weeks here, and it has been for a necessary reason: once I got Pride’s Children, Book 1, out of the category of ‘writing’ and into the category of ‘prepare a product for market,’ I was completely out of my areas of expertise. But I have also been in an area where my basic do-it-yourself nature has taken over in a big way, AND I have had little that I felt was useful to other people. You can’t teach people how to learn. They have their own individual methods by the time they are past young adulthood: a combination of their predilection, say, for audio over visual, or kinesthetic over being lectured to. It is because people have to become fast at learning, once they’re out of school. School should be focused on 1) basic knowledge of the world, and 2) developing the capacity to teach yourself anything you need (which doesn’t preclude more formal academic learning, if desired). So, in the course of writing, I first started thinking something I could write on this blog MIGHT be of assistance to another writer learning to write. Then I moved to a stage (long-term readers might remember) when I explicitly cautioned people that I was writing not so much to provide instruction in my particular methodology, but to provide entertainment at how convoluted and ‘special’ that methodology had become. Now I’ve moved to the stage where few care what I have to say precisely because I’m such a beginner at most of the remaining tasks of publication that there are far better teachers out there, and my bumblings aren’t even special any more, and therefore have little entertainment value. Do you, Dear Reader, need to learn how quickly a graphics file with layers (Pixelmator, Photoshop) gets humongous? If you do your own graphics, you already know. If you don’t, and have no intention of ever trying, you don’t need to know. Really, you don’t. If I write it, you’ll skip it! So I haven’t had much to write about that I would spend time turning into a blog post. Have I been idle? You can bet your sweet biffy I haven’t. In the interim, however, I have been working my little tail off (while sitting in this chair and trying not to let the enormous amount of time in a sitting position make the sciatica and mobility problems any worse). EVERYTHING else has gone on the ‘To be done when I get this thing up on Amazon’ list. Routine maintenance on the ol’ body. Making anything in my workflow better and more efficient. Dealing with clothes (and the season has now again gone back to cool, and I think I bought two pairs of shorts I haven’t used over the summer – that’s all). Getting a new assistant and working with her/him to organize this place. I foolishly thought that if I just concentrated, I could get this thing up on Amazon, and get to writing/revising/editing Book 2. But the time has now occupied FIVE MONTHS of my life. Graphics took a good three months – I had a lot to learn, have (I think) blogged about it a bit. However, I was not willing to put my new cover, the final product of said graphics, up too soon. Jinx? Dunno. I’m getting to the point where I must COMMIT – and it will be time to do a cover reveal very soon. All this, of course, at the extremely slow pace of my brain-fogged thinking apparatus, which still (thank the Lord!) operates for a while every day even though it is mostly sidetracked at the station. One of the interesting things that happened as I spent a LOT of time on things I am NOT good at (yet? ), was that Fear, or what Stephen Pressfield calls Resistance, or possibly self-protection (if you never publish, nobody can fault you for being too revelatory, or a terrible writer, or full of yourself) gets a HUGE second chance. And had to be battled back down to its homunculus size. Several times. Possibly more than once per ITEM (editing, formatting an ebook, graphics, Amazon keyword – all count as items), because in each new field of endeavor you are an ignorant beginner again and should not dare to have an opinion or tread where the angels don’t go). To summarize this all up: I have been incredibly busy, incredibly productive, incredibly frustrated. 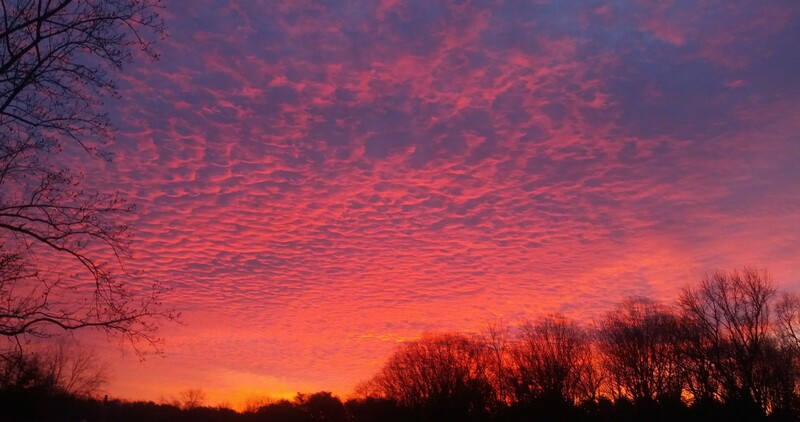 And life has had its own little share of cherry bombs and landmines. In that department, once the proofers and the beta readers have had their say, it will be done – because most of my part is done. Don’t quote me. And I have no idea how long it will take me to do the book description’s final version, or to rewrite the tiny Prologue if I’m going to, or to create front and back matter and then credit Oxford University Press properly for allowing me to use quotations from the King James Version of the Holy Bible, or a hundred tiny details like that. But that final editing thing? It was a bear I didn’t expect to see coming out of the woods – and it is finished. Done. Vanquished. Vanished. Vamoosed. Va-beared? Except for typos – and any extremely unlucky plot holes, etc., my lovely helpers may turn up. Thank you, Gentle Reader, for your patience. I will soon be asking for a bit of help from readers, so if you’ve always wanted to be part of the team who gets the eARC (electronic Advanced Reading Copy) of a novel, or one of the Influencers in the adoption of something new, there will be opportunities. And much gratitude. So thank you ALSO for keeping me functioning and working all this time. This, the first time, will not happen again. Do you remember yours for a big project? Thanks to Quozio.com for the quote software. This entry was posted in CFS - living and writing with ME/CFS/CFIDS, DragonFlys - Holly's tiny house, Ebook covers, Epublishing, Gen. Musings, This writer's life and tagged brain fog, editing, fears, Pride's Children, the creative process on October 3, 2015 by Alicia Butcher Ehrhardt. ARE YOU SURE YOU DON’T HAVE ANY PLOT HOLES? REALLY SURE? Plot holes are especially hard to deal with when you are getting near the end, because they require a functioning brain to make sure the fix works, and I am even less likely than usual to have such an unfogged brain simply because of the pressure involved in making sure everything is taken care of, preferably BEFORE publication. So it’s a bit of a catch 22 situation, and a place where the indie freedom to put off the launch another week or so is a Godsend. I can’t imagine what it would be like with a deadline. I would imagine we first-timers should ALSO not push our luck. Somebody has to notice them, either by reading (driving) that scene, chapter, or set of chapters (street) that contains it – or by having someone else do it – and reporting back to the person in charge. A systematic sweep of the work in question – this is known as beta reading or editing, depending on who does it – is preferable to having someone discover the hole by getting caught by it AFTER purchase, something which results in either broken axles or suspension of disbelief if they get big enough. And, from what I’ve read, that leads to annoyed reviews. Not a good start. Really big – otherwise known as sinkholes, a big plot hole ruins the story in such a way that the whole thing is toast, and, depending on when you find it, will require a major rewrite, or the abandoning of the whole project. I hope not to create that kind. I have enough distance from the writing as it has taken me forever to do some of the auxiliary tasks such as learning enough graphics to do a cover. Principal writing was completed on Palm Sunday, back in March. The small ones get fixed easily as you notice them, because their spatial extent is usually obvious. Oops – this should be Saturday, not Sunday – is easy enough to change. If you think about it, the medium-size ones are both the hardest to find, and the hardest to fix, because little pieces of old text have a tendency to hide in non-obvious places, such as internal monologue or someone’s reply to a piece of dialogue. So a great deal of care is going to be necessary in the finding and planning, but the implementation should be straightforward. 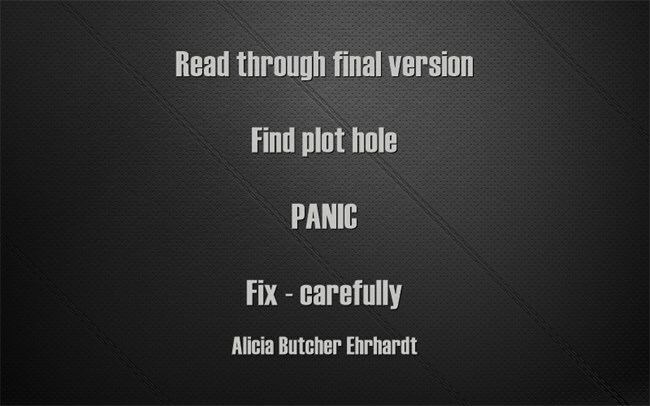 If you have Really Big Plot Holes, you may need professional help. Good luck! The process of fixing the darn things needs to proceed in an orderly manner. Quick fixes, such as when my township fills the hole with some asphalt and a prayer, usually results in a repair which doesn’t last long. I pride myself on my potholes: they are in the timeline, but are minor glitches, and they don’t make you question the story, just whether you remember correctly having heard a date before. Where do plot holes like this originate? I thought about that one for a while, and realized that, for the medium-size plot holes I’m dealing with, the hole came into existence because a particular piece of dramatic story worked so well in several different places that I had not done the hard work of deciding in advance where it would be BEST, and thought it would be obvious where the best location was – as I went along in the writing. The easiest one I can think of is the typical timeline for when a woman tells the world she is expecting a baby. There is an obvious limited timeline between conception and delivery, and, for some women, the later dates make it fairly obvious that something is going to happen, but people are surprisingly bad at telling exactly how far along a pregnant woman is. And we hear stories on a regular basis of girl who delivered a baby at the prom – and claim that neither she nor anyone in the family had any idea she was in the family way. I think there may be a good bit of denial or deception involved there, and the two or three cases in which I was close enough to have a pretty good idea, this was the truth. But even in those, families were not paying attention to loose clothing and moodiness because teenagers are often that way when not expecting. In any case, having gone far afield with an example, the point is that the announcement of either a baby on the way or an actual baby changes a lot of things forever, and thus picking the right time and place has major consequences. So it isn’t surprising, if a little one is on the way, for the writer’s brain to ask the question of how it would affect the characters and the story depending on where, when, and to whom the event is revealed – and for some of those to affect what happens in scenes which later turn out to be before anyone knew! The plot holes in Pride’s Children, Book 1, are not hard to fix – and I thought I already had fixed them – until reading in sequence had some of the questions I thought I’d already answered popping up again. They are sequence events: something happens before something else when it was intended to happen after. Plot holes respond well to logic. I have the calendar involved, a list of the scenes, the affected bits of text. I watch whose point of view is called for – and pay attention to whether something is internal or external to the calendar. And I try to see the story as something that actually happened – so a comparison to ‘reality’ helps check for consistency and order. In addition, I’m asking myself to choose – which involves a bit of writing back and forth with myself, and deciding, on the page, which sequence will be true, and why. Then I record that decision in writing in the Journal. Then I have to go in and make sure the fixes, where necessary, do not interrupt the flow. These are plot holes which must be fixed, but their previous incarnation did not interrupt the flow, so that must stay the same. Inconspicuous mends, feathered in. Needless to say, I don’t want to have to do this again, so I’ve checked out a couple of other sequences – and most are just fine. And I’m going at the fixes VERY slowly. So if you wonder why I haven’t been writing blog posts, remember I have CFS and that makes it slow to fix things, especially when I have to be extra careful not to make things worse! I think I’ve learned a few things – make sure your calendar is set concrete before you start writing. Liquid is fine when you’re planning, but at some point you have to be able to write your initials in it, and have them stay. Keep the calendar current, and change timing with great trepidation; the brain is happy to throw up new ideas – it gets bored easily. But I will think several times before moving ANYTHING during the writing, no matter how much it takes me out of the writing: running into holes when you thought you were done is very discouraging. Like any other writing problem, you can’t avoid all of them, so it’s important not to get TOO discouraged when you’re not actually the god of your particular universe, and can’t make things be exactly as written. Oh, well – that’s what editing is for. It’s still far, far better to find them while you can fix things (and preferably before the POD Accept button is clicked) – no one will ever know. Do you have other kinds of plot holes that have bitten you? Solutions which work? This entry was posted in CFS - living and writing with ME/CFS/CFIDS, Epublishing, This writer's life, Writing - how to and tagged brain fog, CFS, editing, Hard choices, ME/CFS, plot holes, Pride's Children, the creative process, writing on September 6, 2015 by Alicia Butcher Ehrhardt. I’m almost finished. I have three chapters of Pride’s Children, Book 1, left to edit – out of twenty. It seems a good time to stop and review the lessons of editing, as this is the last time I’ll do this for the first time. Editing is a good kind of boring work. The purpose is to make things better, whether you thought your writing was already good enough, or whether you’ve been postponing all those little decisions while you were writing so you could finish. ‘Better’ is subjective AND objective. I’m eschewing the ‘professional editor’ step. So I have to do an especially good job myself, or be subject to the standard complaint about indies, that they really need a professional editor. What is really necessary is that the WORK be edited to a PROFESSIONAL STANDARD. So, if I’m going to do this myself, I need to put my reputation on the line. But most importantly, I need to learn to do the work, and edit my writing down to the last jot and tittle. The hard part: take, for example, cliches. While you don’t want too many cliches in your writing (and AutoCrit flags a huge bunch of them), in every scene you have to decide if THIS character USES cliches, to that extent, and therefore they stay. Can you almost tell which character it is because of which and how many cliches are used? Or spelling: Andrew is Irish; to make the point, I throw in an occasional ‘colour’ or ‘whilst’ in his thoughts in his pov – which either makes you think I can’t spell, or charms you into remembering he’s a bit foreign. Or flashbacks: Bianca’s father lives on in her head, in the form of little sayings he used. Aphorisms. Am I using too many? Do they work? Is it reasonable for her to remember his words? Yes, given her backstory – and this is the only way you learn some things about her. The main problem? I keep getting pulled in to reading. Then I stop, pull myself back out, go back to the protocol I’ve established over the long slog of editing I’ve been doing since I finished figuring out how to format my ebooks and compile with one click. It slows down the forward progress to keep reading sections. 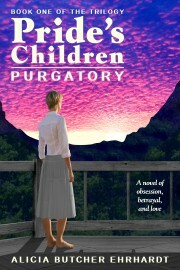 I still have NOT read Pride’s Children, Book 1, from beginning to end. I haven’t dared. I want to keep my eyes as fresh as possible to catch… well, if I knew, I would have fixed it already. But my brain does seem to be on full alert at some level, because I have run into a number of small but important things, startled myself by noticing, pulled up the whole text (all 160K words – something Scrivener does without a hiccup, and which I never liked doing in Word), and found that yup, I DID use the same saint’s name for two churches on two different continents. Not that it matters – Catholic churches all over the world share names. For example, when we moved to Hamilton, NJ, our parish was St. Gregory the Great’s – and that is the name of the last parish I had in Southern California when I was a child, before I moved to Mexico at 7, and yes, I still have the school patch from way back then. But I digress. It was easier to give the church in Colorado a different saint’s name than the one in Ireland, Co. Galway. Easier than explaining it. I ran the parts which needed to be an accurate expression of Catholic dogma (very tiny parts, but important to what one of the characters, Kary, believes) past my parish priest – he suggested I not use the name of an actual local church. So that church had to be renamed, as well. He also kindly said my dogma was okay – no unintended flubs. That was encouraging. As usual, the author accepts responsibility, in writing, for all errors, but it’s still nice to know 1) I sought advice, and 2) passed. I give characters easy names, and keep a detailed bible, but there are only 26 letters in the alphabet (a few more if you include the letters unique to Spanish), and this is my last chance to make sure that my character names are unique, their initials are unique, and that I don’t have unintended consequences (the character whose initials were B. S. has been renamed). I’m supersensitive – that’s my job – so a reader won’t have to go ‘Huh?’ I sincerely hope. The process is slow at times: yesterday, I noticed a flaw in the editing software – I used a particular verb way too many times in one scene, enough times that I noticed, but the software never flagged it as an ‘overused word’ – and so, since I want the editing software as good as possible (so I don’t have to remember to do things on my own), I took the time to give them feedback (which they kindly appreciated). And then I tackled the job of finding replacement ways to say something that did NOT involve that verb quite as many times. Lazy brain, tired brain – each one of these original expressions was fine, and colloquial, and often the simplest expression of an idea – but cumulatively (and I don’t know how I didn’t catch them before I posted that particular scene online), too much. Now I have to go over the WHOLE thing one more time – to see if that was an accidental bad habit one week when I was polishing THAT scene, or whether I do it all the time! Aargh! BTW – writing in public, posting your work as you go, does not necessarily make it error free: readers who are reading for story don’t notice these things. They cut you WAY too much slack. Thanks guys – I think that means your attention was otherwise occupied. And that is the report from the trenches: I’m almost at the end of editing, and willing to do whatever is necessary so my words don’t get in the way of you enjoying my story when you read it as a whole. If you’re a writer, comments welcome. If you’re a reader, do you think I’m crazy? PS: I’m now using Anti-Social to great effect. I added all the sites I usually surf to the list of social sites I want to avoid, and Anti-Social kindly blocks me from accessing them during my chosen working period – once I set said working period. Great little programs, Freedom and Anti-Social (from the same folks). Make one decision (breakable, but at a cost in time that makes it an actual choice), and it is now just enough harder to surf that my brain often doesn’t bother. PPS Thanks to Quozio for the easy quotation images. This entry was posted in Brain training, Epublishing, This writer's life and tagged AutoCrit, digitization, editing, the creative process, writing on August 20, 2015 by Alicia Butcher Ehrhardt. PRIDE’S CHILDREN, Chapter 1, Scene 1 final editing changes. I need my brain ON to edit. I’m not doing this again, unless one of my hardy beta readers or proofreaders points out that I’ve made another dum-dum. FACTUAL errors WILL be corrected. Stylistic ones NOT. This is it, folks, get your digs in now or forever hold your PIECE. In Chapter 1, Scene 1, I made over 50 edits. None of them major (no plot or character changes), I am happy to say, but all of them necessary. That is a lot of decisions for someone decision-challenged at the best of times. I’m writing this post as I go about the complete change in working patterns, and how it affects the writer, ME. In case it helps someone else, or merely for the entertainment value. So, just block the internet and proceed in a nice quiet environment? The hardest part right now is that I have to leave the internet unblocked: I’m fact checking, getting quotes right, and using my editing software (over and over and over after changes). My editing software is online. Sigh. I need to be able to get to my blog and Wattpad to collect comments. All those critical words left as I posted scenes I am now mining for gold: if something bothered ONE reader enough to mention it in the comments, you can be sure it bothered others – who didn’t take the time to notice, analyze, and write to me about it. Thanks, commenters! You rock. I’m happy to say it’s been POSSIBLE. Have you noticed a dearth of posts by regulars lately? Summer? I don’t remember from previous years, but it seems I have to surf harder to find anything acceptable to read, and then I dump it more easily because there ISN’T any, and get to work in spite of the distractions. So ‘surfing the internet’ isn’t the distraction it could be. Reading and storing critiques (and I must admit, some of the lovely positive comments) is taking a fair amount of time. I might have done it as I posted, but then Pride’s Children would probably never have happened – you’re not supposed to put too much time into fixing minutiae as you write, or you get bogged down in far worse questions about native intelligence, ability, and the suitability of the WIP. I use AutoCrit, because, although it is online (I think they’re tinkering with it and making it better, though I’d rather have a standalone on my computer), it has the most and the easiest-to-use features for fiction I’ve found in all the software I tried. Its best feature is a VERY light hand on suggestions – and those based more on a database of similar fiction. Some of the editing software out there thinks it’s an English teacher. And the grammar editors, such as the one included with Word, are painful. Especially for writers of fiction, but just painful. My repeated sins are those of a tired or lazy brain: I find myself using the same words, often with different meanings, because a particular word, once used, leaves some kind of mental trace that gives it preference the next time I need a word. A halo, if you please. Just in the image that starts this post, you see an example: the original has ‘quiet little book signing’ and ‘he lay so quiet.’ On the first page. Within paragraphs of each other. Eeek! And in something that’s been up for years – nobody ever mentioned this! C’mon people, I ASKED for critique! I meant it! But the almost-final version of that scene was written either before I purchased AutoCrit, or somewhere within my first months of having it, and didn’t go through the extensive vetting I do now (and am re-doing for every scene before I let them out to paying customers). I guess you might say it’s a testament to my writing skills and beautiful storytelling that I got away with this – in a story that’s been read here and on Wattpad AT LEAST a hundred times all the way through. I think I’ll keep the rest of them quiet for now; there are many, many are fixable, and I would rather seem like a polished writer than completely let you all down! The remainder of this post is about USING the editing software – but once I get into a working loop, I can usually forget most of the distractions of the net at least for a while, so it’s been worth it. DO NOTE that you lose all your italics when you paste things into AC, which sometimes makes for oddities. And useful to find out that, if I have to, I can. I don’t like it; the freedom feels uncomfortably like lack of boundaries between the writing world and the real one. And note that I don’t apply AC to writing until I’M finished with writing AND editing on my own. I don’t use AC to write; only for final revision – and then VERY thoroughly. And afterward I let the computer read it to me – and I listen. So which AutoCrit features are my most useful ones? All of them. I use every single one of the tabs at least part of the time. Oh, except for Pacing. I don’t get why that one picks certain paragraphs to flag. I’m often quite surprised at what it turns up in a ‘finished’ scene. AC’s little grammar lessons on each topic are a quick review of good practices. (Click on How do I use… link). The feature I use here is Sentence Variation. It shows you a bar graph of EVERY sentence in your text in order, and summarizes how many of each you have. I use it especially to check my LONG sentences – click on the bar, and they are highlighted in the text – to make sure they parse correctly into chunks and don’t FEEL long. To me, the second is more like Kary’s perception than the first, which sounds like a narrator, so I like the second one better. Plus why would she think of Elise’s last name? So I arranged for you to find out Elise’s last name a bit later in the scene in a more natural way, and one more edit DONE. Adverbs in Dialogue – I rarely use ‘said quietly’ instead of ‘whispered’ unless there is a real distinction there, but often those adverb/weak verb combinations CAN be replaced with a single stronger verb, and it’s a good idea to check what on Earth your brain was thinking when you wrote the thing. I check Adverbs, Cliches, Redundancies, and Unnecessary filler words. Each is a quick judgement call. For some characters, the cliches are on purpose. I mostly ignore Passive Voice and Showing vs. Telling, as I don’t do those things accidentally. Initial Pronouns and Names and Sentence Starters are useful if you have a habit of clunky sentences, all starting with a name, pronoun, conjunction (And, But…), or ‘ing’ construction. Generic descriptions flags things like ‘very’ and ‘great.’ I use those mostly in sarcastic comments in direct internal monologue, ie the character talking to herself, or in dialogue to show a character’s speech patterns. But it IS useful to do a quick check to see if you really need ‘really’ in that sentence. I don’t like the way Homonyms is executed. I get the impression they don’t want to show their actual list, or it is too long to show conveniently, but it shows ALL possible homonyms at the same time, with no way to just check the versions of ‘your’ – so I find it quite useless. There is no way I’m going to write ‘ewe’ when I mean ‘you,’ so having it flagged doesn’t help me at all. Those I have problems with I do on my own with the Find function in Scrivener, and I’ve tried adding them to the Personal Words selection, but there is a problem there I’ve asked them to look into when a word has an apostrophe. So I know darn well there are ‘yours’ in there, and I can’t find them in AC. Otherwise, Personal Words can be useful – if you think you have a bad habit of overusing certain uncommon words (I have ‘autopilot’ in there), you can add it to your personal list, and AC will flag them for you. I seem to have broken this feature, so I’ve sent in a question about what to do, and haven’t gotten a response yet. The words I put in before I got cute and tried to add some of the homonyms I have trouble with (so I can see just them) still work. Repeated Words, Repeated Uncommon Words, and Repeated phrases help you notice when you’ve used the same thing within a paragraph or two. Word frequency and Phrase frequency examine the whole text you inserted into the Editor, to give you a total count. Both are quite handy. I use this one a lot, and examine what it highlights very carefully before I decide whether to leave a repeat or use a synonym – and then I have to rerun the analysis with the new text, because I have the habit of repeating a different word when I change a duplicate. Sometimes editing repetition feels like chasing my tail, but IF I use it, I want it to be by choice, not accident – for a specific purpose, rather than because my brain is lazy or fogged. Another set of judgment calls, supported by a program which shows me what I actually did, rather than what I think I did. This last tab has two selections – Overused Words and Combination Report. The latter does Overused Words, Repeated Words and Phrases, and Personal Words in a clickable format so you can check all these things quickly in one place if you wish to. But the main point is to compare YOUR work to a database consisting of: fiction (default), YA fiction, SFF, or Romance, and to show you how your choice of words stacks up to a wide variety of works in these categories. This is new – there used to be just fiction and non-fiction (I think – it seems to have disappeared, and I may be remembering incorrectly as I never used AC for non-fiction like blog posts). All comments welcome – editing is a perennial. This entry was posted in Brain training, Epublishing, This writer's life and tagged AutoCrit, digitization, editing, formatting, Scrivener, structure, the creative process, writing on July 14, 2015 by Alicia Butcher Ehrhardt. I just performed the beautiful action of sending the first n drafts off to Recycling. A banker’s box, brown, full to the brim of earlier paper drafts of Pride’s Children (or as it has been known, Children of Pride – and before that, Resurrection!). I had told myself they were of historical significance for my biographer. Until I realized that meant my biographer would see and maybe READ my early drafts. Ack! The writer’s best trait is stubbornness. This entry was posted in CFS - living and writing with ME/CFS/CFIDS, Gen. Musings, This writer's life, Writing - how to and tagged brain fog, CFIDS, CFS, editing, ME/CFS, the creative process, writing on November 17, 2014 by Alicia Butcher Ehrhardt. Thanks to Lily White LeFevre for asking about editing programs. If there are computer tools available, for a reasonable price, that help remove some of the drudgery associated with providing clean prose, it is, to me, an odd choice not to use them. Word processors, online dictionaries, and programs such as Scrivener which organize research as well as text are in the arsenal of most writers. Computers are incredibly fast, incredibly stupid, incredibly literal – they do EXACTLY what you actually told them to do, within their instruction set, rather than what you THINK you told them to do – and, most importantly of all, they don’t get bored. 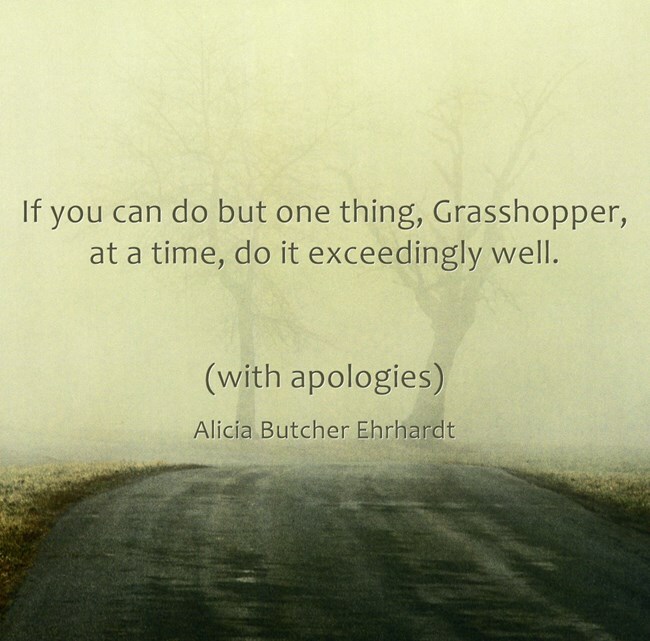 This entry was posted in Writing - how to and tagged AutoCrit, editing, revision, the creative process, writing on March 15, 2013 by Alicia Butcher Ehrhardt.